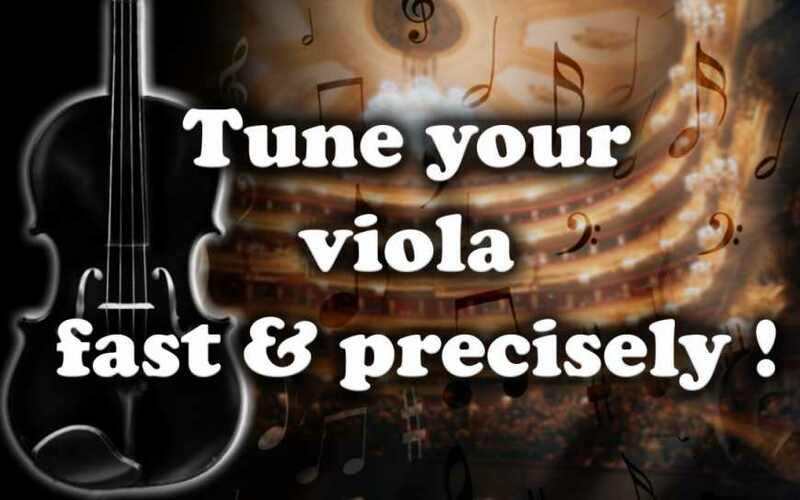 Tune your viola quickly and accurately! Need help tuning your viola? 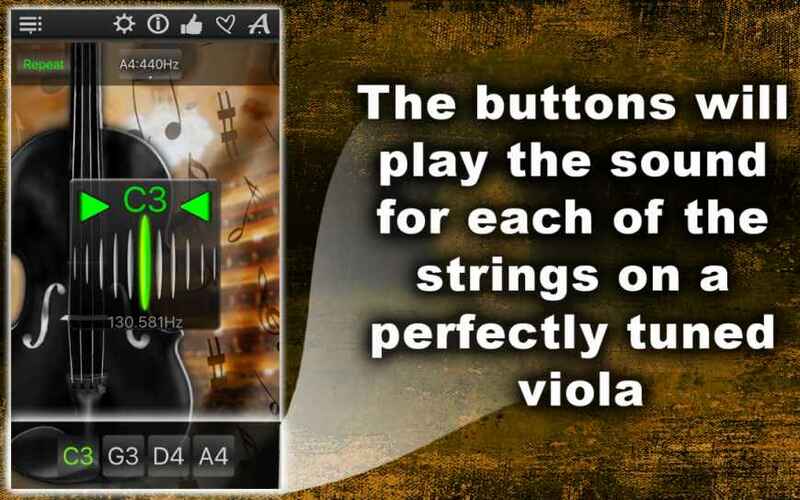 Try Viola Tuner! 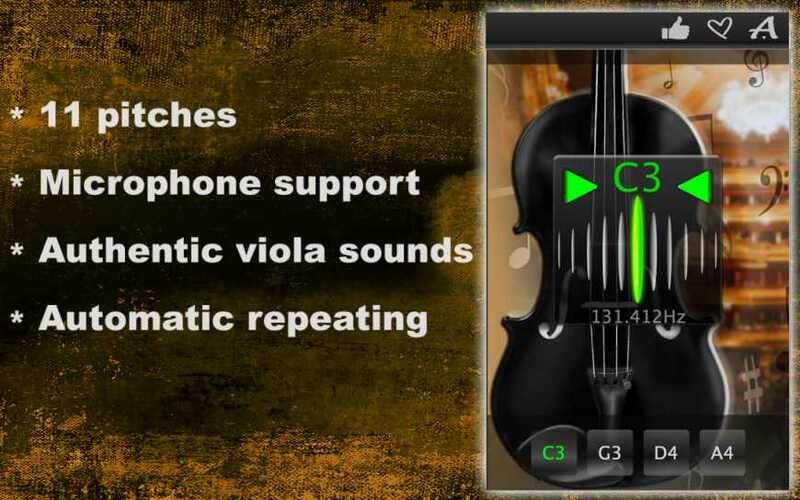 Our app will help you with the tuning process and it will also help you to accurately tune each of the strings with a chromatic voice function with audio input and microphone support. 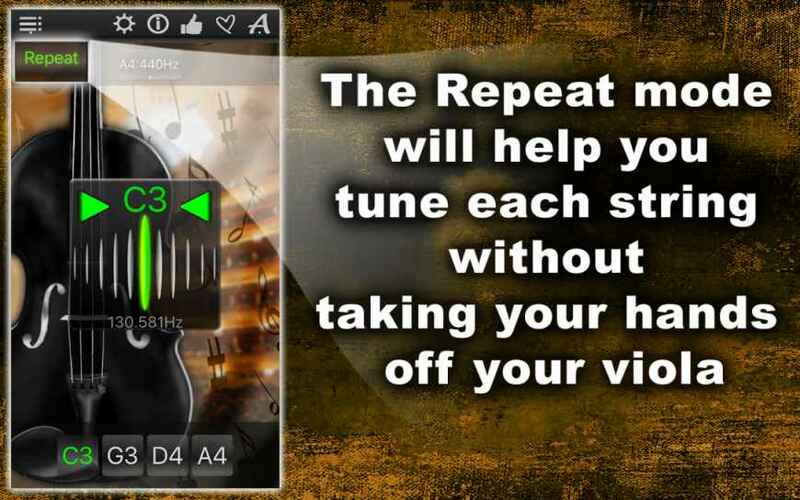 Turn on the volume of your device, make sure that your microphone is turned on and let us begin to tune your viola! 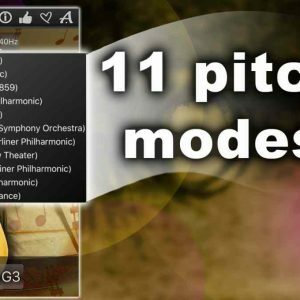 Viola Tuner has 11 pitches from which you can choose. Choose the You like. 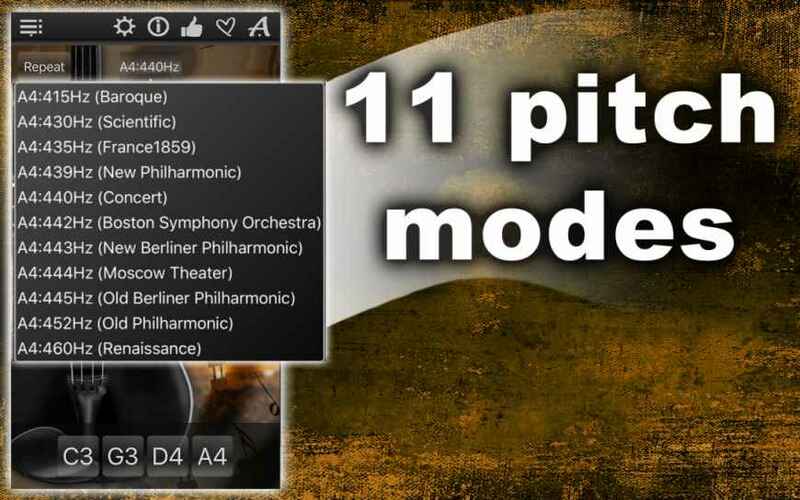 The buttons at the bottom of the app window play the sound of every string of a perfectly tuned viola. You can use these buttons individually or in repeat mode, which repeats the sound of the selected string. 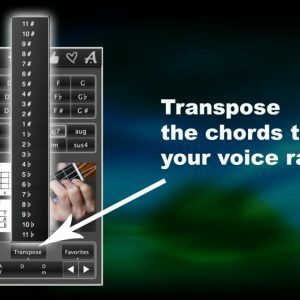 Most of the vocals you can make without taking your hands off your viola! 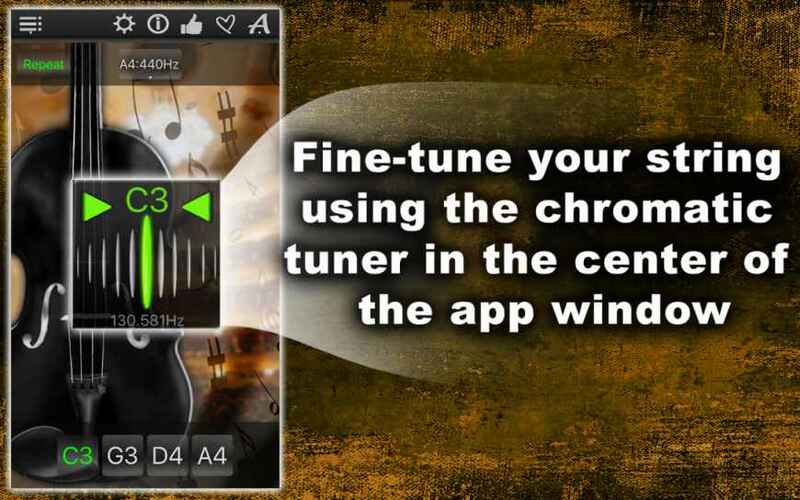 The chromatic tuning function in the middle of the app window is used for precise tuning of individual strings. Play a string and if it is perfectly tuned, the tuner will blink green. If the tuner flashes red, the string must be tuned further. The chromatic tuning function shows you whether the string has to be adjusted up or down. If the arrow on the left side blinks red, your string sounds too low and must be tuned higher. If the arrow on the right side blinks red, your string sound is too high and must be tuned lower. Tune the strings until the chromatic tuning function blinks green. Continue with the next string. 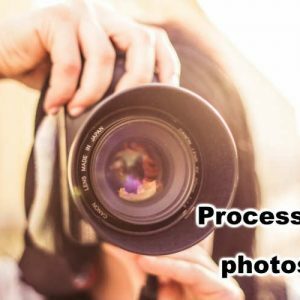 Continue until all the strings are perfectly tuned and enjoy playing your viola. Have fun with Viola tuner! Download the app now!